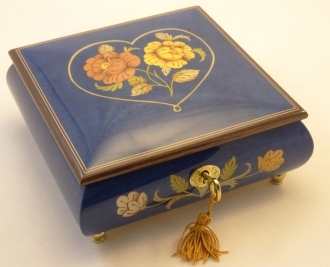 This Sorrento music box is shaped like a heart. 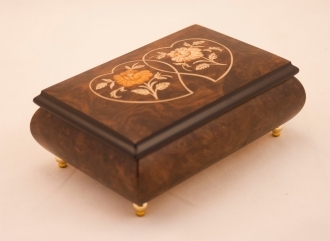 The music box sits on three golden legs. 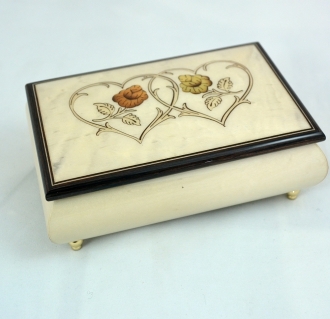 This Italian wine red music box has glossy exterior which makes it extremely eye-catching. 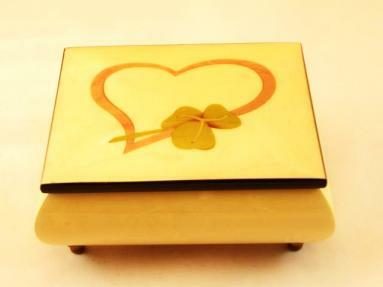 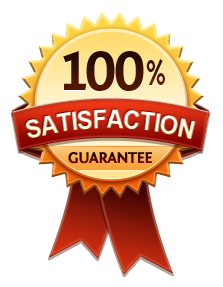 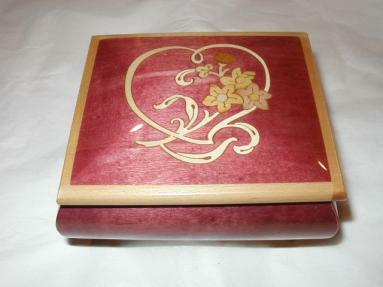 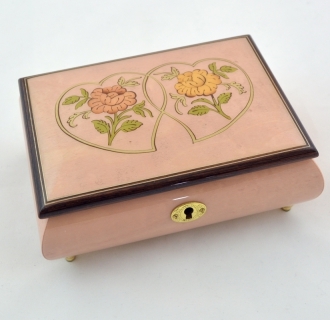 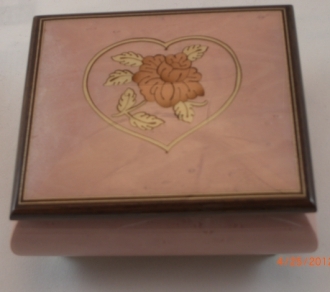 The lid of the box is inlaid with a heart design and flowers inside of the heart. 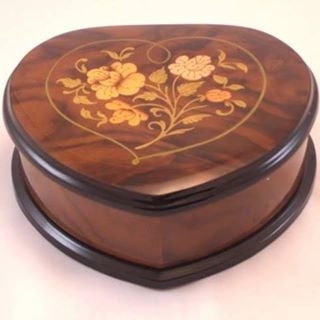 This music box is the jewelry box with the large jewelry compartment which makes it perfect Valentine’s Day gift for the one you love.